The known ancient practice of Santhara in Jainsim, or starving oneself to death, portrays a fundamental conflict between law, constitutional secularism and religion. Does it fall under the definition of suicide as the High Court interprets or a divine act of soul cleansing that the followers of Jainism claim, an antediluvian tradition or a ritual silent murder, will intervention of the state be respected? If we go back to the era of ancient India, the act of suicide was permissible in certain exceptional circumstances. Moreover in Hindu mythology, where the concept of Karma and rebirth existed, death was never regarded as the end of the soul but of the physical body. The soul then enters another human body depending upon the deeds done during the previous life (Karma), i.e also referred as transmigration of the soul, receives Muqti i.e freedom from the cycle of rebirth. “Just as a person casts off worn out garments and put on others that are new, even so does the embodied soul cast off worn out bodies and take on others that are new”. What exactly is the case? Public interest litigation was filed by Nikhil Soni from Jaipur in the year 2006, seeking directions from the court under article 226 of the Indian Constitution to declare the orthodox practice of Santhara, practised by the Swetambaras illegal and punishable under section 309 of Indian Penal code. The section is read as “Attempt to commit suicide.—whoever attempts to commit suicide and does any act towards the commission of such offence, shall be punished with simple imprisonment for a term which may extend to one year [or with fine, or with both. The argument sorted was penalising the support, practice and abetment for the same. Also, death by Santhara was not guaranteed by the Fundamental rights under Article 25 of the Indian Constitution that gives right of freedom of free profession, practice and propagation of religion as it acted in contravention to article 21. This was after the two acts of Santhara made headlines in Jaipur, where allegations of forceful practice of Sathara were highlighted. The first instance was of Bimla Devi Bhansali, aged 60 who was diagnosed with terminal cancer, fasted unto death. Another case was of Kiela Devi, 93 with similar facts and circumstances. Does right to life include right to die is the most controversial question of all times tracing its significance from the Supreme Court case of Maruti Shripati Dubal v State of Maharashtra  to P. Rathinam vs Union of India which penalised the attempt of suicide under section 309 IPC holding it violative of Article 21 hence, unconstitutional. The matter again got into limelight in the case of Gian Kaur vs State of Punjab, overruling the previous judgement stating that Right to Life under Article 21 does not include “Right to die” or “Right to be killed” and there exists no ground to hold Section 309, is constitutionally invalid. The true meaning of life is a dignified life. The issues before the court were: Whether nor not ‘right to life’ includes ‘right to die’ and Whether or not section 309 is unconstitutional, hence void? Article 21 guarantees the protection of the right of life and liberty and not extinction of life. It is construed as a life with human dignity and not something that accelerates the extinction of ebbing life. Hence, Right to die, or unnatural termination stands in contrast and inconsistent with the concept of right to life. The court’s judgment is superficially reasoned, misconstrues findings of the Supreme Court, and, most significantly, ignores vital considerations that go to the root of a person’s right to ethical independence. Its decision in Nikhil Soni v. Union of India, is likely to have far-reaching consequences, not only amongst the Jain community in Rajasthan but also across the country. Unfortunately, it conflates several important issues of constitutional law, and symbolises the confusion over the fundamental guarantee of religious freedom in our constitutional jurisprudence. We now truly need to understand the basic difference between the characteristics of suicide and Santhara. Suicide is a cowardice act of ending one’s life. The step taken is out of emotional outburst, stress, depression, hatred, agony etc. The soul is harmed out of the escalated process bringing out negative vibes, social stigma and disgrace. The sole intention of suicide is to escape the atrocities of life and done in sole isolation devoid of any knowledge to the family and relatives. It tends to fail the purpose and object of life. In contrast, Santhara is a scientific process of self-realisation undertaken to end it with all dignity. The vow is undertaken with full control, composure of the mind and body with due permission of the family members, religious leaders etc. The sole intent is the attainment of salvation through purification of soul and with intent to cleanse itself of karmic encumbrances. Such a step is taken only when a person completely detaches itself from worldly pleasure and its attainments. Hence, in my opinion Santhara is said to be wrongly construed as a ritual failing to find a place to be recognised as an essential and integral practice in Jainism. It commands intense courage as it is a practice where one strives towards death by sacrificing food and water. Santhara cannot be construed as a practice violating Article 21, and the difference is in no way a slender line. Hence, categorizing Santhara either as suicide, euthanasia or Sati would be the derogation to the century followed tradition. It is none of it. 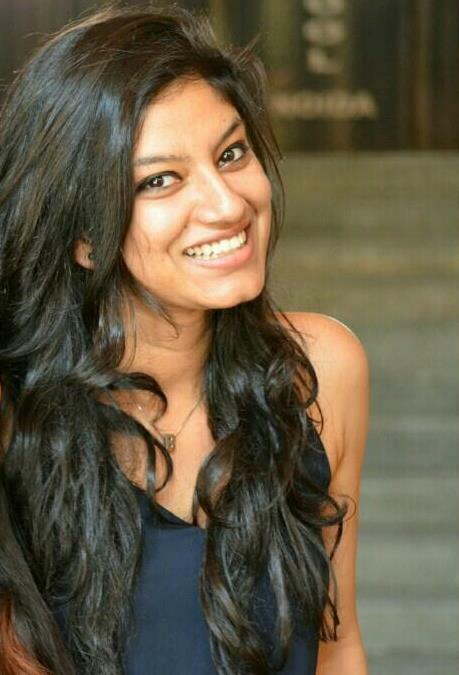 Bhavinee is a Law student at Symbiosis Law School, Noida. Her interest lies in Constitutional Law and Administrative Law. She is an active participant in all the activities of her college and believe in out of the box thinking. She loves painting, and has her interest inclines towards charcoal, oil abstract paintings.